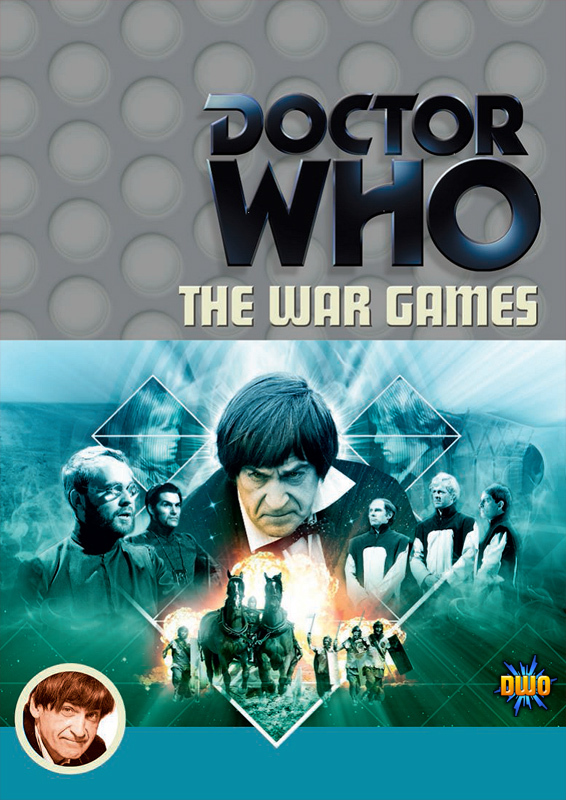 Doctor Who Online has today posted the cover the July’s DVD release, The War Games – not quite the finished version it seems as it’s lacking the ‘Troughton Years’ text from the bottom bar, but presumably the artwork is the finished thing. Click on the thumbnail to see a larger version at DWO. My first impressions are favourable. Oddly for what, in retrospect, is a milestone story, there seem to be few photos taken during production of The War Games – and the use here of mostly very familiar shots doesn’t raise my hopes that the disc’s photo gallery will turn up some unseen gems. The best images of the Doctor do seem to be those of him, Jamie and Zoe crouching in the mud, as used here (and, if I remember correctly, on the video cover) where his body’s at a slightly awkward angle. Nice to see the War Chief make an appearance though, thanks to the cache of photos DWM turned up a few years ago. And I like the explosion added behind the Roman soldies – livens up a much-seen shot very effectively. I can never decide whether the Time Lords deserve space on the cover – yes, it’s their first, iconic appearance, but they’re hardly integral to the vast majority of the story. Jamie and Zoe feel a little awkwardly placed too, but I like the use of the war table motif. The colouring is nice, although I’d have gone for a more earthy tone. All in all, one of the best covers we’ve had this year.